Should I move her up? 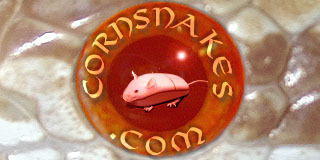 Hello, so I'm quite new to the whole corn snake and just any snake stuff. I got a 3 month old corn at the end of September last year so she's not that old, I've been keeping her on one pinkie every 5-6 days but recently she's been quite active and apparently that means she hungry. Last night I tried her on two pinkies and she took them well. Should I carry on doing this because she took them or do you think she would gain to much weight being quite young and all, I've herd of people giving there snakes fuzzies at the age of 6 months so I was just wondering. Although I don't think she would be able to eat a fuzzie as it looks as though she has to work abut to fit some of the bigger pinkies in her mouth. Any help is much appreciated! Do you know the weight of your baby? It's easier to judge the appropriate meal size if you know the weight of your baby. Also, does your snake's belly bulge still after eating a pinkie? She won't gain too much weight on two pinkies. Most of the nutrients go towards growth in very young snakes. The obese corns I've seen were fed too much after reaching adult size. Great post. My little guy is 6mos now and I wondered the same thing. Pinkies are thr right size it jus seems that he takes them like he’s starving. Gonna try to get a weight on him this weekend when I clean his tank and will use the Munson method.